Do you like ice fishing with tip-ups, but hate to hand fight fish? With the IFishPro you can fight the fish on a rod and reel. Do you have a bucket full of tip-ups that are all tangled up? With the IFishPro you only need one tip-up for multiple species and since there is no line there isn’t any chance of getting tangled. Does your current tip-up collect snow? Not with the IFishPro. 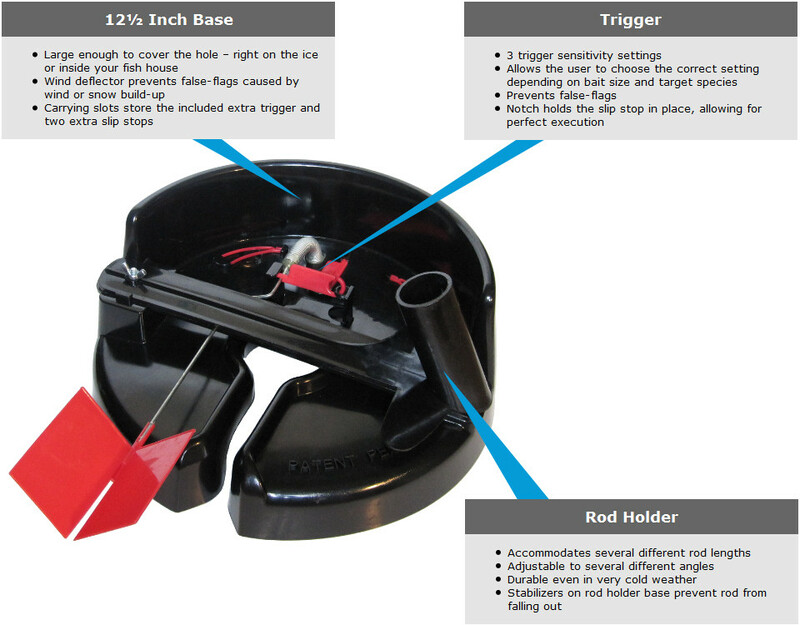 The IFishPro has a wind blocker built in to each unit so the snow doesn’t drift in and freeze your line up. Sick of missing fish because your old tip-up is frozen? 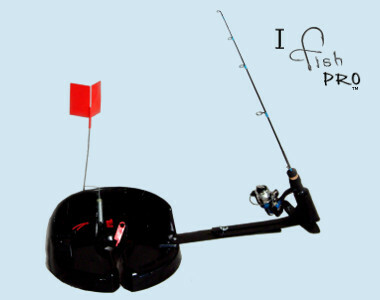 Get the IFishPro; it is black so it is less likely to freeze, and the wind blocker stops snow from drifting in. -Line channel to move tip-up out of the way.